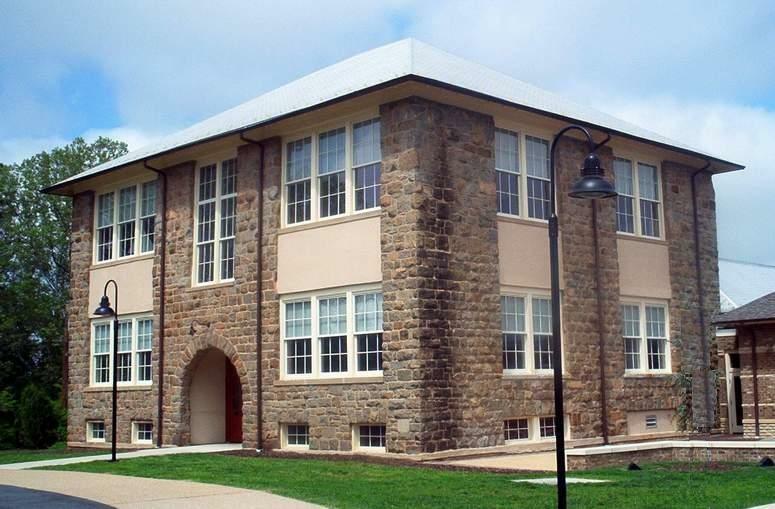 Opened as Louisa High School in 1907. The second story was added in 1924. It became an elementary school before closing in 1987. It was renovated as reopened as the Louisa Arts Center in 2008. Photographed 26 Apr 2010 and Contributed by George Seitz. 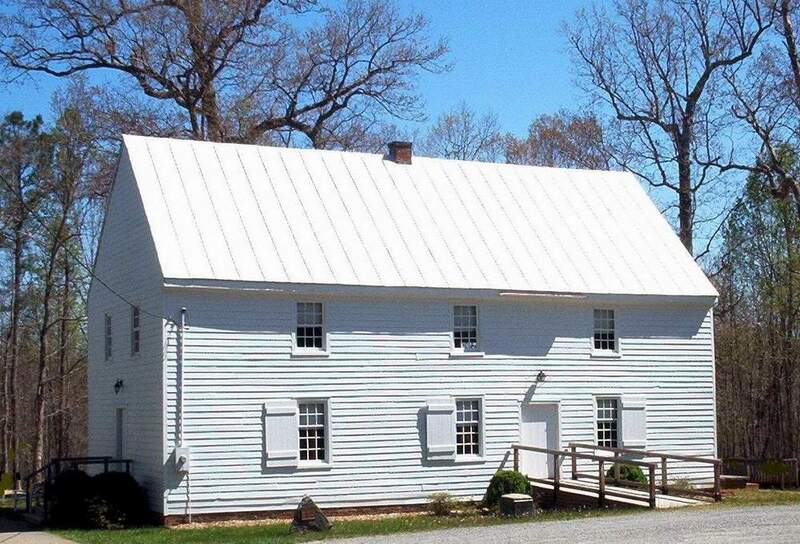 An important example of a Federal tavern building of the 18th century. 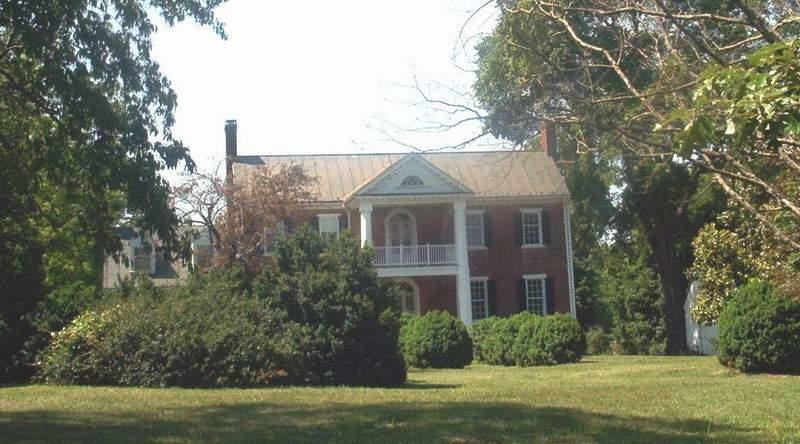 It was a frequent meeting place of such notables as Thomas Jefferson, Patrick Henry and James Madison. In 1781 the Marquis de Layfayette encamped there. Built in 1939. Part of a Historic District. It has a pedimented entrance and an exterior end chimney. In Louisa Town, on Main Street. 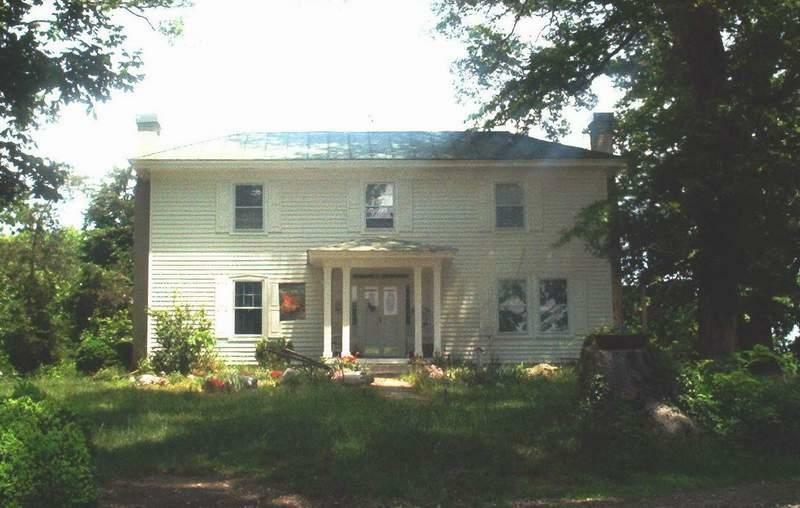 Built in 1880s by Rice P Cammack and operated under the proprietorship of George H Johnson. S. S. Griffith purchased the building shortly after the turn of the century and used it for the Louisa Hotel. The Great Depression saw the business close. Dr J. W. Baker purchased the building, renaming it and reopening it in 1934 as the Patrick Heney Hotel. 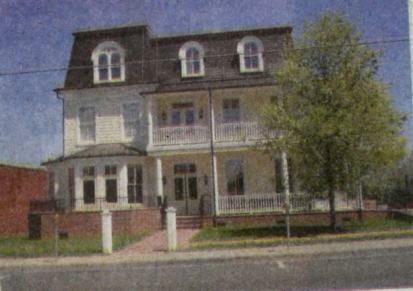 In 1959 Louisa attorney and real estate investor, William A. Cooke purchased the building. It was used for his law office and rented the main floor out. Today it hass office suites on all floors. 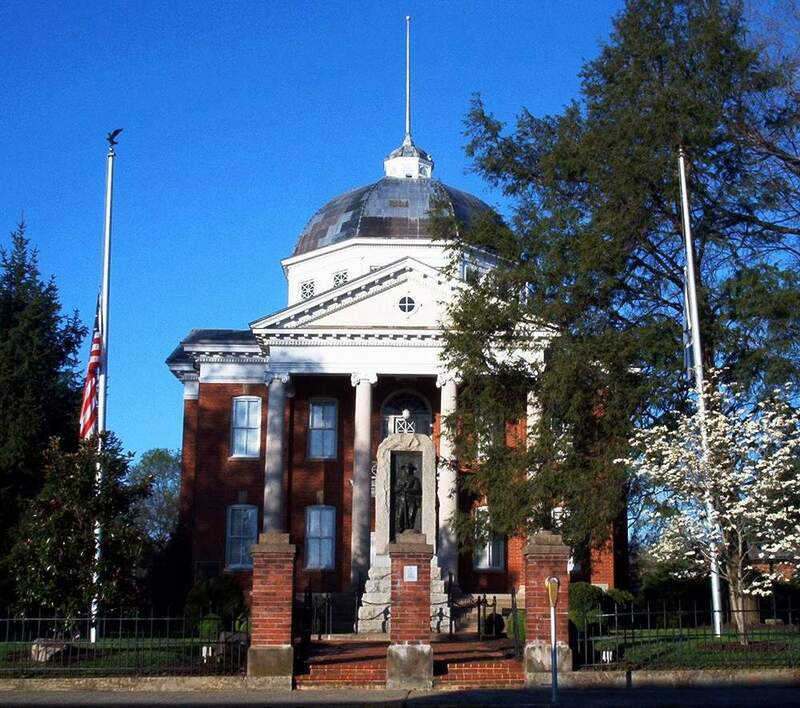 Completed in 1905, it is the third courthouse to occupy the same spot in the town of Louisa. It has a pedimented Ionic portico and an impressive copper-covered dome. 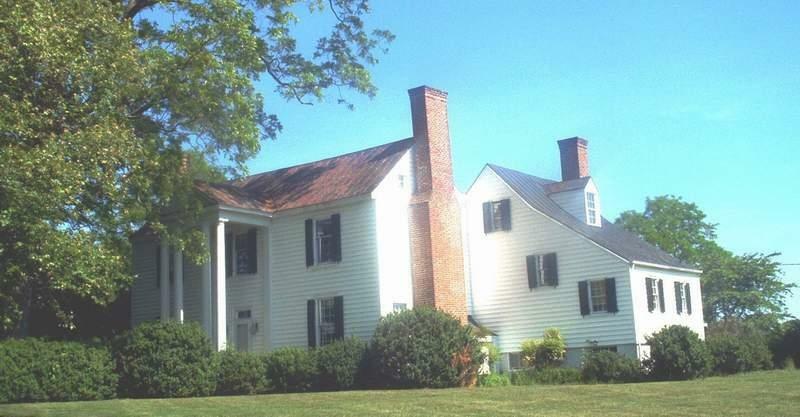 Listed on the National Register of Historic Places and the Virginia Landmarks Register in 1994. 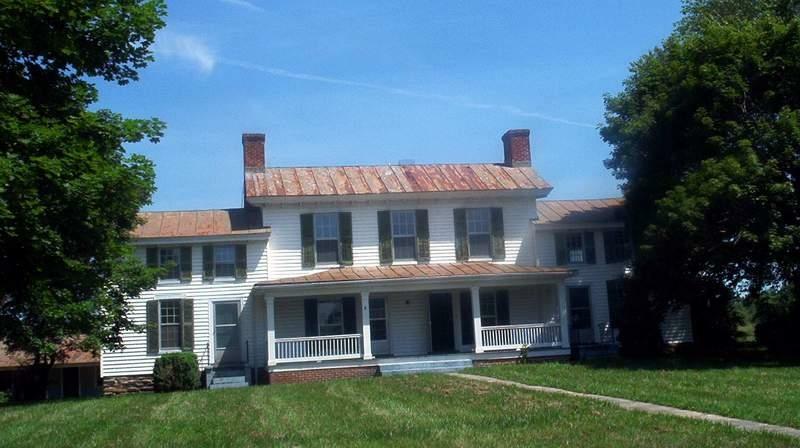 It was built for Henry Pendleton about 1819. It has been in that family at least six generations. This early 18th century structure is supposed to have been a tavern. It served as a muster ground for the War of 1812. 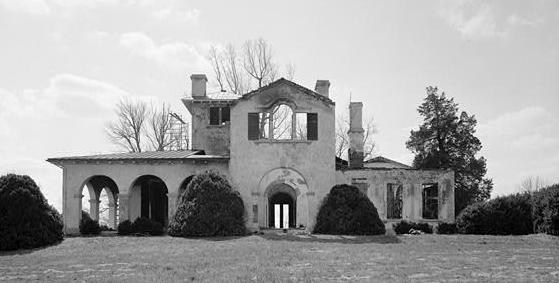 The Yankees unsuccessfully attempted to burn it during the War for Southern Independence. Photographed 19 Dec 2010 and Contributed by George Seitz. A stately 18th century brick home. 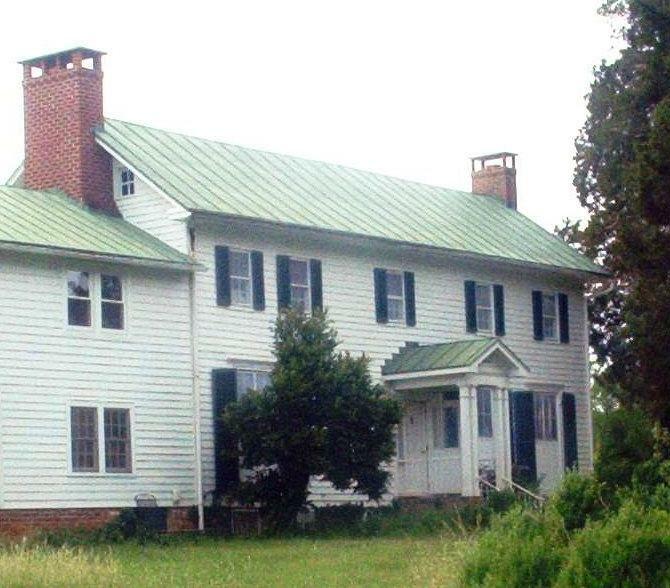 It was likely built by Revolutionary War Officer Frederick Harris and is named after him. 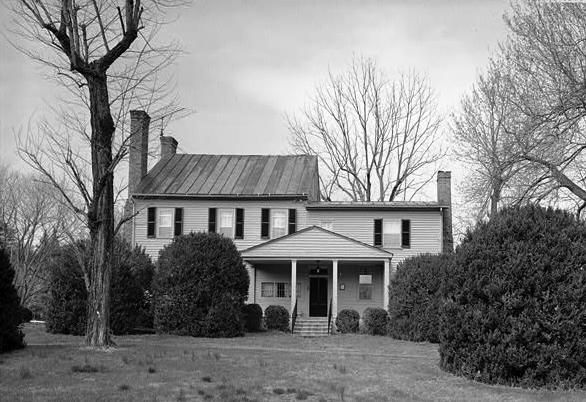 During the War Between the States, Stonewall Jackson reportedly stayed there. George Armstrong Custer made it his headquarters before the fall of Richmond. Photographed 21 May 2010 and Contributed by George Seitz. The South wing is believed to have been built in the 18th century. The central portion was added about 1820. The North wing was added in 1974. 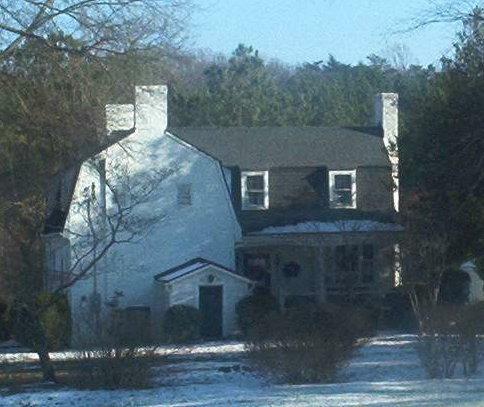 It is a clapboard frame dwelling on a brick foundation. The hipped roof has an ornamental central cross gable. Made of stuccoed brick, resting on huge granite blocks. 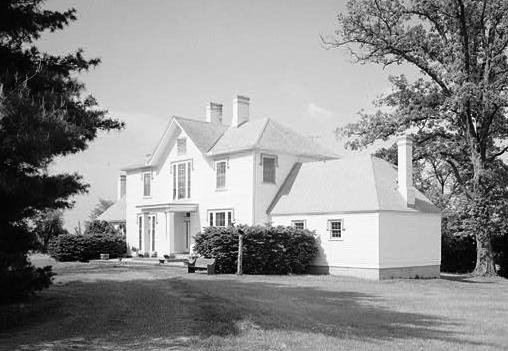 It has a gabled front with a Palladian window over the entrance. The interior was gutted by fire in 1982. The ancestral home of the Barret family. Charles Barret settled on this land prior to 1742. The original part was built before 1794. Much later, William Cecil Elam lived there. He was an officer in the Confederate Army, a member of the General Assembly and the editor of several newspapers, including the "Richmond Whig" and the "Virginia Pilot." In the 1770s Richard Anderson settled at North Bend. 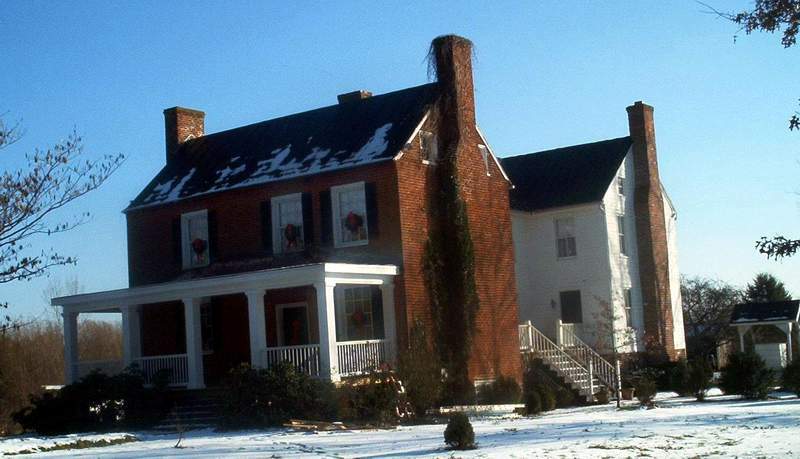 It is a large two-story frame structure with a raised basement and large brick end chimneys. It has had many alterations. Built in 1868 using bricks and iron from a prior jail built in 1808. 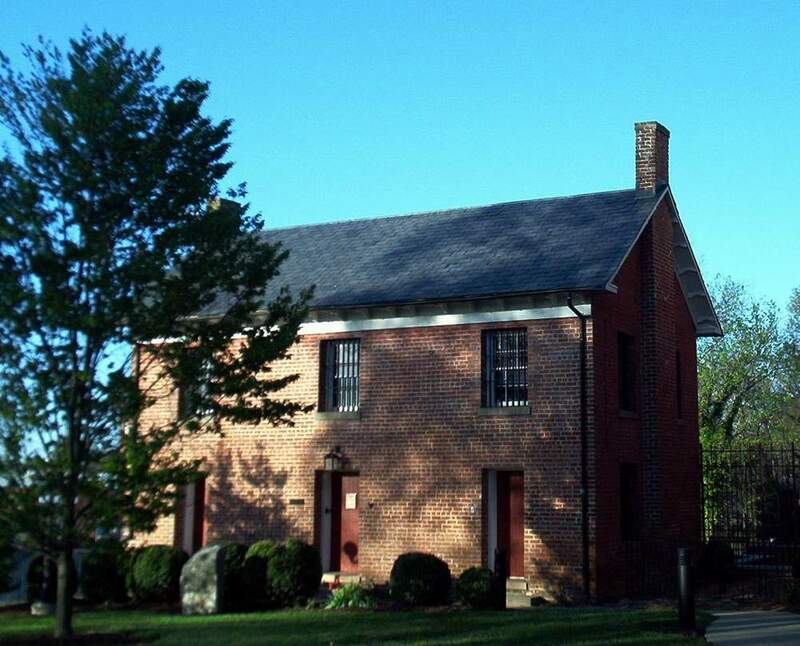 The building is now used as the museum of the Louisa County Historical Society. Completed about 1749 and little altered since. It is one of the few colonial frame churches still standing. 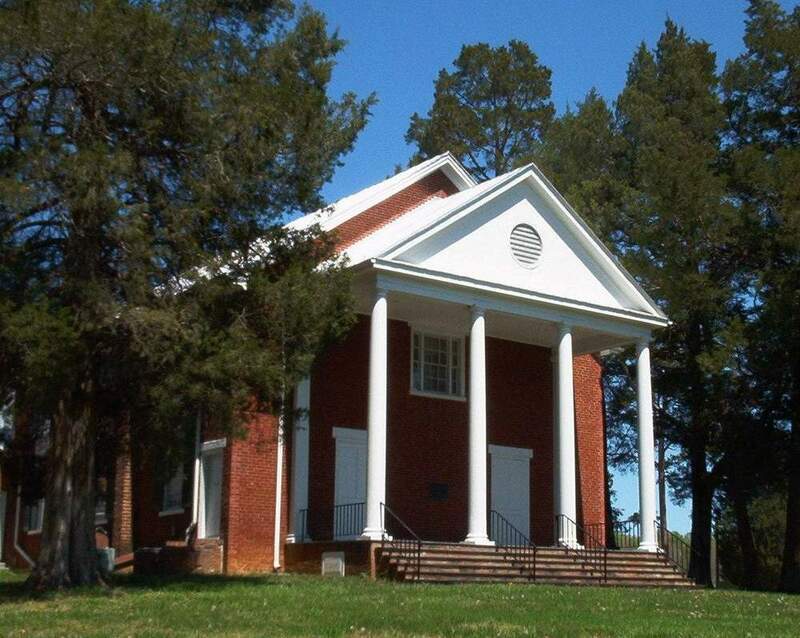 John Todd Sr. was pastor there for forty years, from 1758 to 1798. 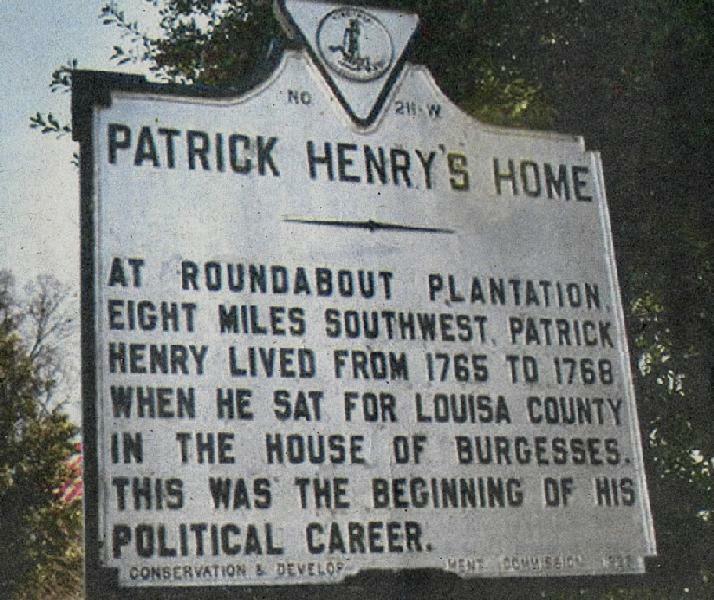 Historical Marker, for Patrick Henry's residence, which no longer exists. 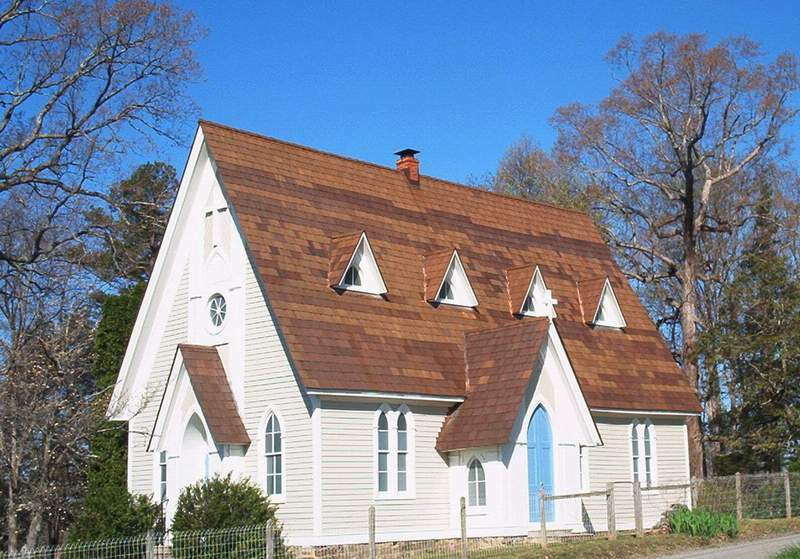 Built in Carpenter Gothic style in 1888 by the Overton, Morris and Watson families. 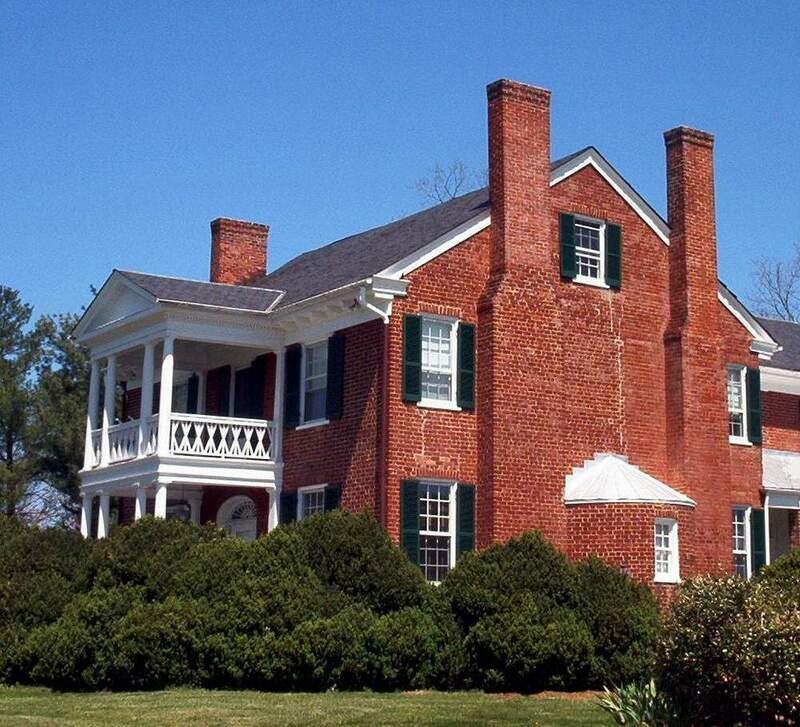 Built before 1800, it was bought by Azgard Cosby in 1837. It stayed in that family until 1952 through daughter and granddaughter, Sarah Cosby Wooldrdge and Sally Wooldridge Dabney. Circa 1729. Robert Perkins acquired it from John Syme around 1800 and made many changes there in the thirty-seven years of his residence. In 1887 it sold to the Harris family and they stayed until 1945.